At Artisan E-Learning, we pride ourselves in being able to create YOUR perfect e-learning solution, and that solution is different client-by-client and even project-by-project. From microlearning to gamification and even video-based simulations, our goal is to give learners what they need so you get the business results you want. Our development process includes careful consideration of your learners, your goals, your culture, and more, and is best illustrated through the following story about an award-winning course we developed on a very serious subject – encountering an active shooter. 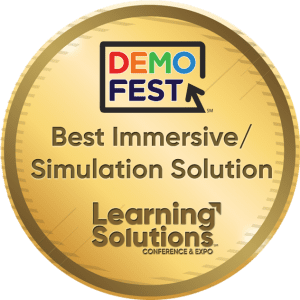 This video-based immersive e-learning course was voted on by industry peers and experts and won the Best Immersive/Simulation Solution award at the eLearningGuild’s 2018 Learning Solutions DemoFest. 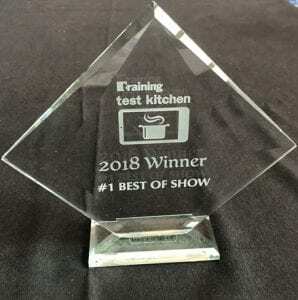 It also won Best in Show as part of Training Magazine’s 2018 Online Learning Conference Test Kitchen. This year, Amy and Cherie will be sharing some of the secrets behind developing this award-winning course at the eLearning Guild’s Learning Solutions Conference & Expo. If you’re going to be there, don’t miss their session: Extraordinary Video with Ordinary Equipment and Award-Winning Results. When one of our clients requested a course for encountering an active shooter, we took on the important topic with gravitas. Not only was it a tough scenario, but the project parameters added multiple challenges. The course could not depict violence, guns, or blood. Further, we understood that the learner may never apply the information; and if there was an application, it could occur months to years after the learner completed the course. The application would put the learner in a highly-stressed state. With this active shooter course, our team knew that we were not trying to creating a habit; instead, we needed to create a memory. Additionally, we needed the learner to be in an intense, urgent, and emotional situation, all markers of what moves an experience from short-term to long-term memory. When you retrieve a memory in your mind, you often see it playing out, much like a movie. We wanted to create that movie-memory but didn’t have a blockbuster budget to do it. Even so, we were able to build an immersive course that put the learner in a first-person situation. Our team focused on what it would take to create that long-term memory, and thought about a current-day response to almost any situation: grab your cell phone and start recording. This response became the foundation for building an immersive course. Using inexpensive equipment, hired actors, and a focus on the first-person experience, the course came to life. It begins with the learner in the break room at work. While the instinct is to show the active shooter, it’s not how these situations typically unfold. Usually, you hear a noise or hear others yelling about the situation. We wanted to begin the course in the same way. As the learner, you hear a noise, you pick up your phone and begin capturing what unfolds. Since we wanted the video to be true to life, we intentionally chose to create footage that felt a little shaky, much like typical cell phone footage you see in high-stress situations. The video footage was taken with an iPhone using a specialty app. We used an iPad to view the video as we were filming, another iPad as our scene clapper, simple umbrella lighting, and an auxiliary audio recording device. These inexpensive, but effective pieces of equipment allowed us to stay within our budget while maintaining high-quality realism to create a memorable simulation. Throughout the course, the learner makes choices based on his reaction to the situation unfolding. While the experience and emotional response were important, so was building on the learner’s choices as he received more information. We replayed scenes for the learner with additional tips for reacting properly to the situation. We chose not to narrate the course, because in real life, you wouldn’t have someone saying, “You are in an active shooter situation. Will you run or hide?” We wanted the course to replicate anything the learner might do in a real situation. Since each Active Shooter situation is unique, we presented the learner with different versions of the scenario but used the same techniques. The learner makes choices, replays scenes, and receives the main instructions repetitively, all in the spirit of moving the information into their long-term memory bank. This course presented a unique challenge in many aspects, from the topic, to the parameters, to the tools we used to create it, but that’s all part of what we do. At Artisan E-Learning, we take the time to dig into the details to craft the right solution, and this course gave us the chance to do that. Ultimately, our client’s goal was to save lives, and we hope our team has contributed to the future safety of their employees, should such a situation ever occur. 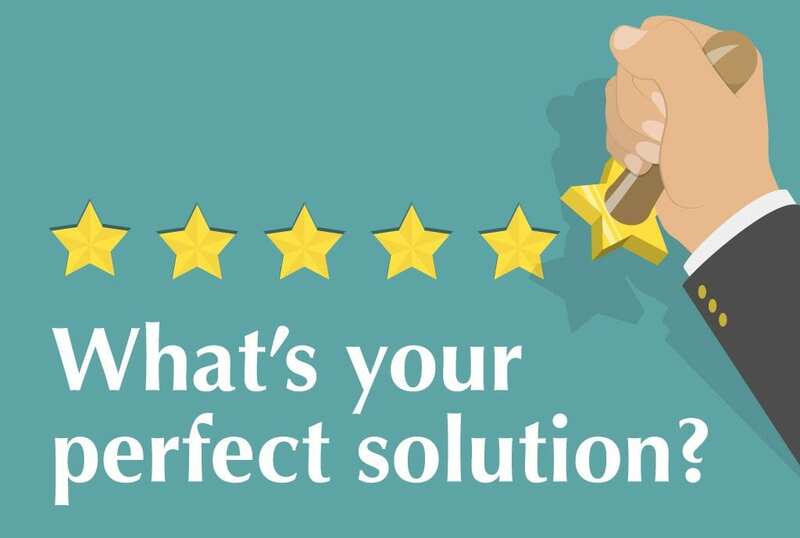 Are you ready for your perfect e-learning solution? ← Help Us Help You! Cherie has 25+ years of industry experience in training, strategic planning, coaching, and curriculum development. Organizations have turned to Cherie to determine and build full curriculums and facilitate tailored workshops. Cherie has designed and led entire school districts and companies through high-level strategic planning. While each strategic process is unique, she crafts them all to deliver creative approaches, strong ownership, realistic plans, and effective outcomes. Her approach to instructional design and writing e-learning content is no different. Cherie joined Artisan E-Learning as a Storyboard Project Manager who oversees the writing and direction of storyboards being developed for Artisan’s clients. She also contributes to business development.